When thinking of the 5,300+ craft beer breweries out there today and considering their prospects for staying in business as the years roll on, for some reason this scene from Seinfeld pops into my head. Sure, anyone can just open a brewery, but the key to keeping it open involves constant planning. Here are three different reads that will help you frame your planning and objectives. As businesses scale up in revenue or volume, the existing operations often must be changed. This is particularly true for craft breweries, which are by definition limited to smaller batches. At the same time, consumers expect continuous innovation from craft beers, and brewers must work hard to keep the loyalty of their consumers with new and interesting products. In this dynamic industry, brewers must be able to articulate their short- and long-term priorities, in terms of a business model, to the investment community. For instance, in the short-term, the priority may be to expand the tasting room or increase social media presence to introduce their products to more customers and gain more local market share. In the long-term, the priority could be to increase the number of tanks at the brewery or even build a new brewery in a new market to keep up with demand. Each business model carries a different appetite for risk, which can lead to a number of questions about capital expenditures and steps for improvement. Once the growth strategy is articulated, brewers can consider questions about funding existing and future operations and determine sources of funding. For instance, are the long-term desires and expectations of founders aligned with investors? 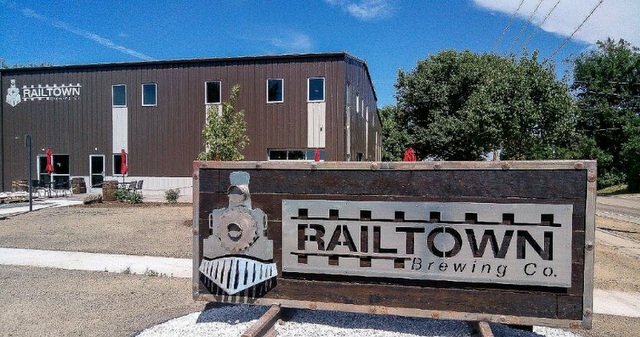 Will the brewer be able to pay back a loan during difficult phases of the business? What is the cost of the capital? If there are equity partners, are they expecting current returns and when? Some brewers are seeking partnerships with other like-minded brewers rather than going it alone. This “craft-on-craft” deal strategy allows smaller breweries to combine their distribution networks and sales forces. This was the case when Green Flashing Brewing Co., of San Diego, purchased Alpine Beer Co. Company leaders said the acquisition would result in a merged distribution system but with separate beer brands. Though this M&A strategy can create some conflicts if breweries share the same markets, the consolidation among entrepreneurial breweries can benefit both companies in terms of market awareness, brewing efficiencies and shared resources. It is interesting to see this sort of M&A activity, which brings together relatively equal partners that are largely committed to the ideals of craft beer. Another popular capital strategy in the craft brewer sector is Employee Stock Ownership Plans, or ESOPs. While not used to fund a brewer’s growth needs, ESOPs are an attractive option for founders who want to reward their employees, especially those that have been with the company for some time, provide a way for employees to be vested in the company and for the shareholders to receive some liquidity. Under the agreement, a trust is established that acquires shares from the existing shareholders, typically using a bank loan guaranteed by the company. Those shares are then granted to the employees who are vested over a pre-determined time frame. ESOPs are a tax efficient way for owners to realize a return on their privately held business while providing wealth generating opportunities to their employees. In today’s market, expansion is a matter of choice rather than survival. Each category of brewery has its advantages and drawbacks and each has the ability to deliver a good profit. It’s important for investors and owners of breweries to align on objectives when it comes to growth targets and appetite for expansion. Once brewers and investors agree on business objectives, they can set priorities for investment and determine the amount of capital they’ll need to build their infrastructure. If a brewer aims to slowly expand a brewpub, for example, he may not need to purchase a new warehouse to store beer right away; instead, he can gradually scale up distribution. As part of this evaluation process, brewers also will need to consider operational needs to maintain equipment, including maintenance and upgrades. Ultimately, the value for a particular brewer is case dependent. Key factors to consider include quantitative elements (growth rate and profitability), intangible factors (brand awareness), competition (assessing if similar products are in the market) and succession planning based on the end goal (for example, an IPO). Read more at the Grand Rapids Business Journal.